Organic Cotton Mattress Pad by Coyuchi | Order page. A deep 15” pocket with full elastic around the bottom for an easy fit on plush mattresses. Free of chemical finishes and flame retardants, GOTS certified. A standard King mattress measures 76x80". Unlike other sizes, where a Twin will almost universally measure 39x75", certain King mattress frames may vary slightly. In our experience, while a standard King measures 76x80", certain furniture manufacturers may offer King frames that necessitate a 78x80" or even an 80x80" mattress. 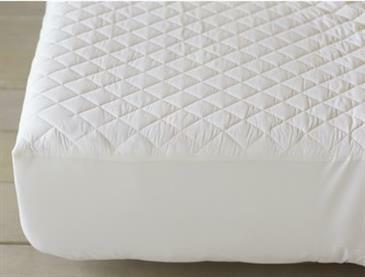 Each King-sized White Lotus Mattress measures 76x80", which is what you will receive should you place an order online. As we understand that certain frames may vary, we will not apply a Customization Fee to any 78x80" or 80x80" King Mattress ordered. Should you require these alternate sizes, please specify this at checkout or when placing an order by phone. Review more Frequently asked Questions on our Mattresses.